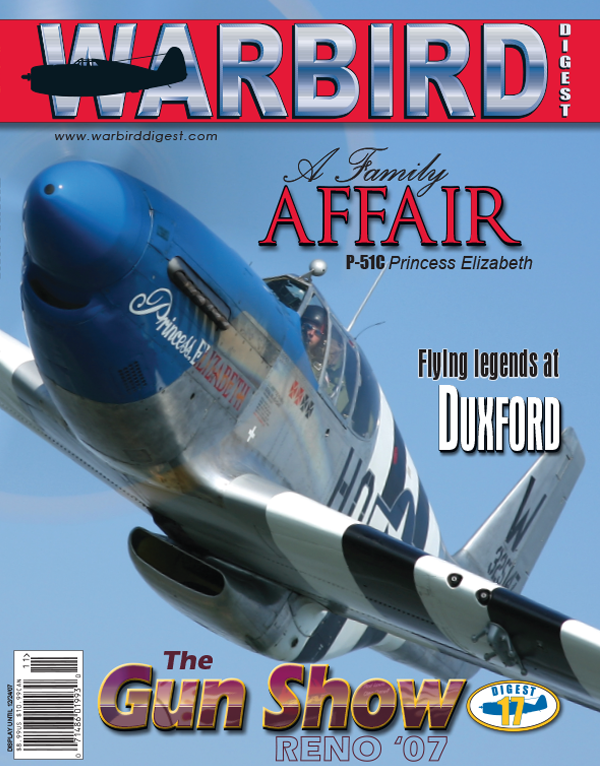 Most warbird aficionados are well aware of the The Air Museum-Planes of Fame at southern California’s Chino Airport. Lesser known is the Planes of Fame facility at Valle, Arizona. A significant collection in its own right, this museum hosts its own aerial event each year. Frank Mormillo brings the story. The Unlimited Gold race at the 2007 National Championship Air Race was one of the most exciting in years. Scott Germain brings the story of a week full of drama and fierce competition. We have come a long way since the warbird movement started in the late 1950’s. Doug Fisher brings us a selection of photos and traces the history of these venerable classics. An ambitious project is underway to return a significant piece of Canadian aviation history back to the air. Michel Côté describes the difficult task ahead. Richard Moore brings readers the sad tale of a derelict B-25 that is losing the battle of the elements.